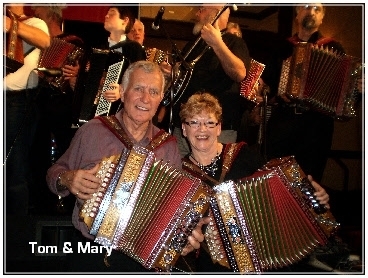 The idea began with Tom & Mary organizing monthly polka jams in November of 2002. They are held at the Kent Belgium Dutch Hall (KBD Hall). Notes: Musicians from Ontario, Michigan, and Ohio. 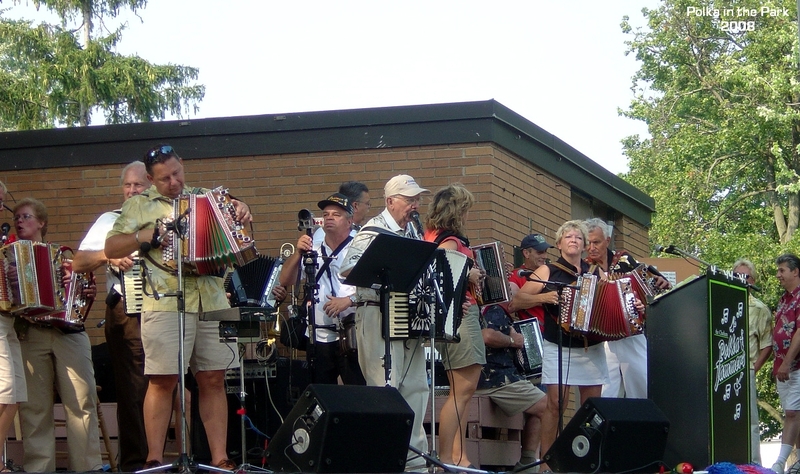 Many featured groups and lots of accordion and button box jamming. Bring a lawn chair. Live music held from 1:30 to dusk. The Sunday Polka Party radio show (Dan Coppens, Detroit disc jockey) broadcasts from the park on WNZK 690 AM radio. Some featured artists previously included the Button Box Buddies, Martin Brothers Plus, Frank Moravcic, Linda Hochevar, Eddie Adamic, Niagara Button Boxers, Ron DeBlander, Wendell Bauer and Mike Mahler and the Blue Waves.